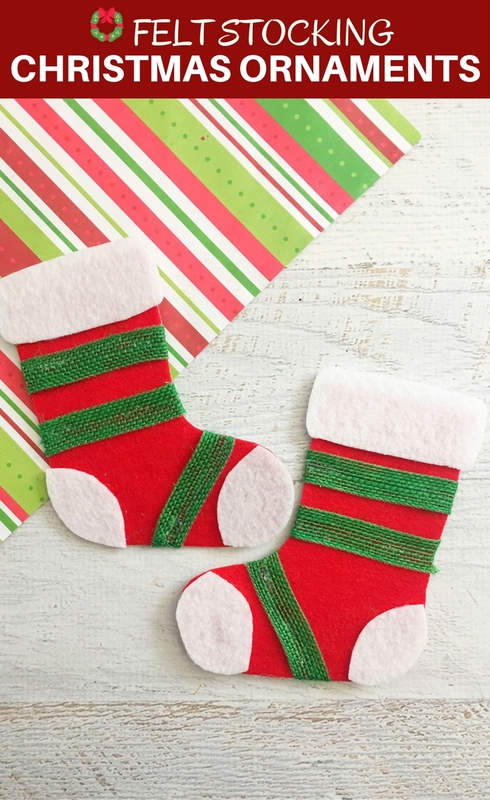 Felt Stocking Christmas Ornaments are an adorable addition to any holiday decor. 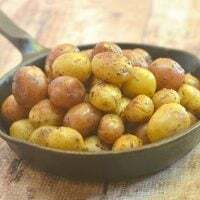 So easy and fun to make with simple crafts supplies. 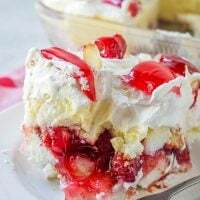 Guys, we’re just two weeks from Christmas! 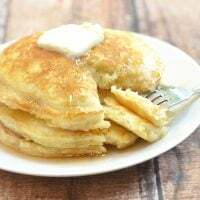 Are you all decked out yet? 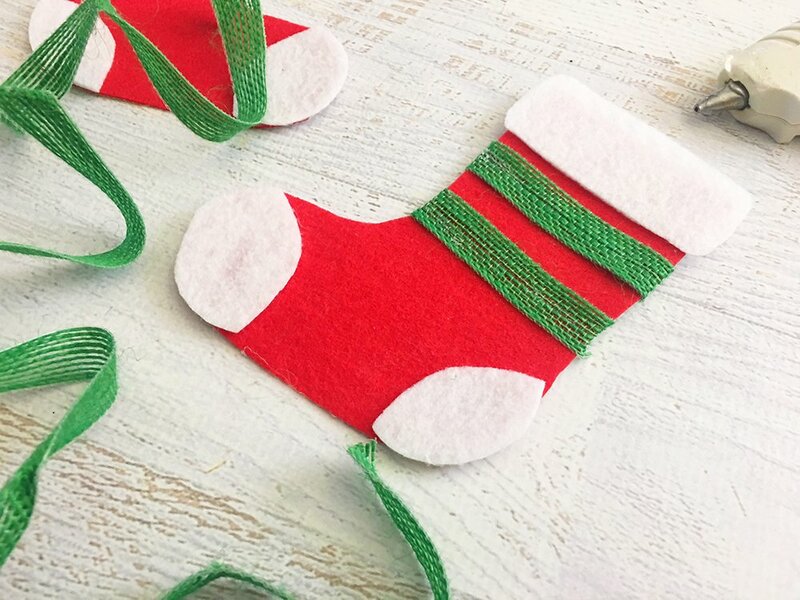 If you’re looking for last-minute holiday projects or a new Christmas tradition to start, these Felt Stocking Christmas Ornaments are so easy and fun to make with the whole family. They’re the perfect activity to keep little hands busy this season! 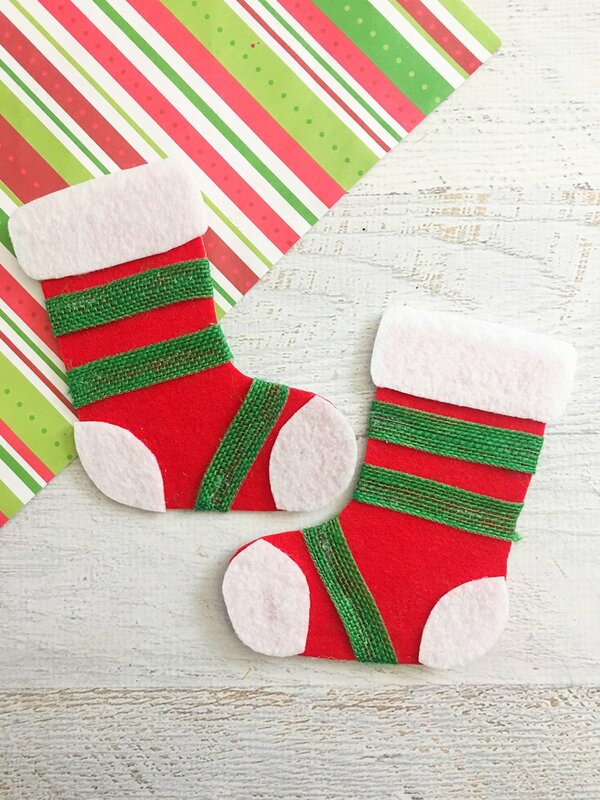 These felt Christmas stockings are not only an adorable addition to any holiday decor, they are a festive touch to your holiday gift giving, too! You can string them add and hang on your tree or glue them on gift packages and spread some cheer! Looking for more Christmas crafts? These reindeer craft stick ornaments can’t get any cuter! 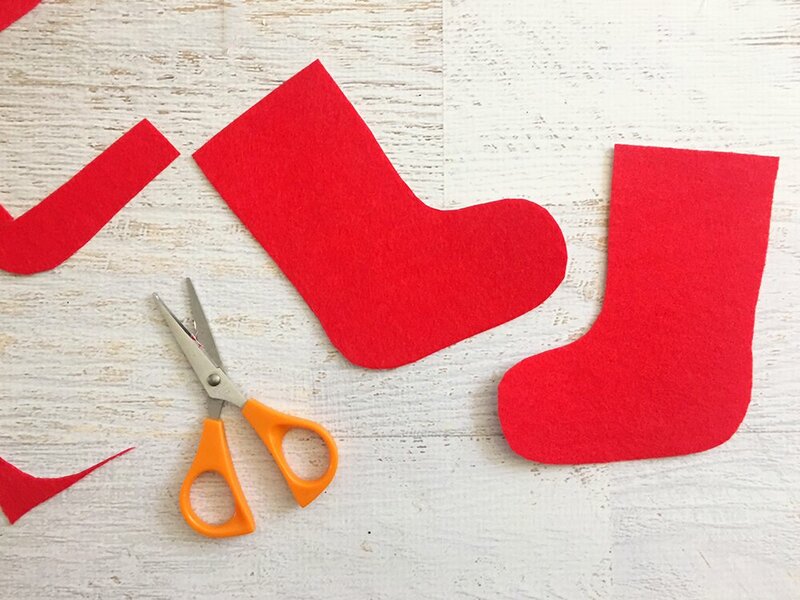 Draw a sock shape onto a piece of red felt and cut it out with scissors. 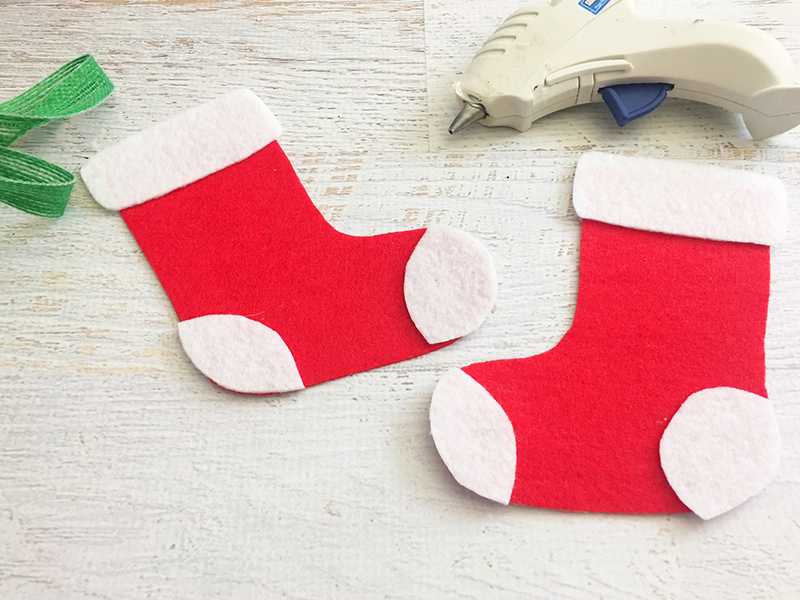 Measure the top width of the stocking and cut a 2″ wide piece of white felt that is 1/2″ longer than the top of the red stocking and round the edges with scissors. 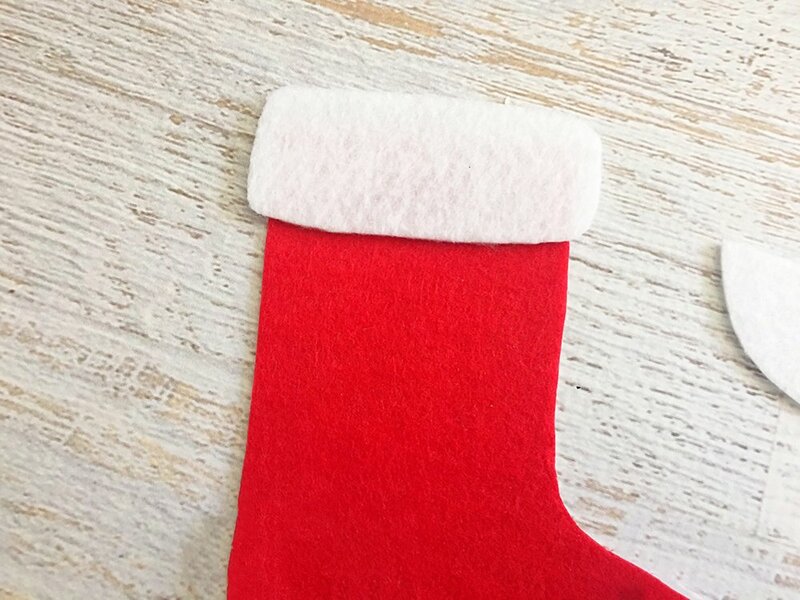 Glue your white felt rectangle to the top of the stocking. Trace the red stocking onto a piece of white felt and cut off the toe and heel and glue to your red stocking on the toe or heel. 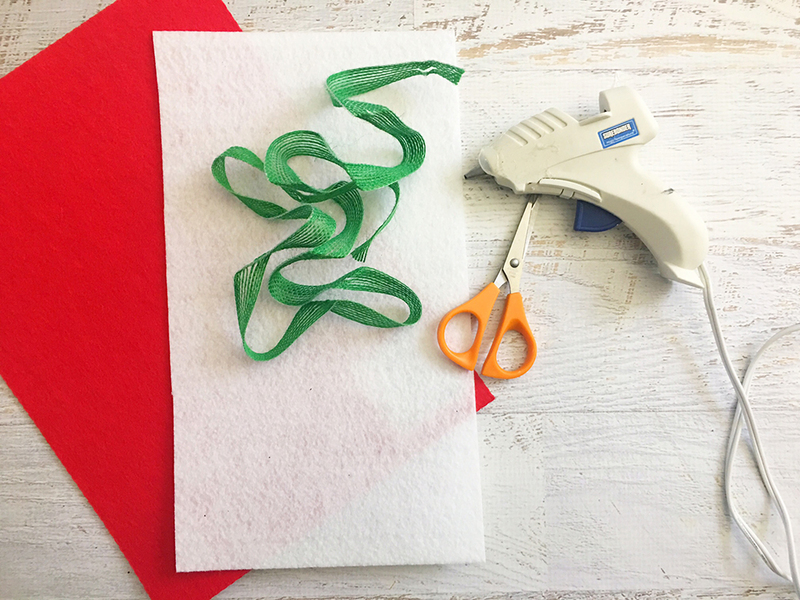 Cut 3 pieces of green ribbon and glue them horizontally across the red stocking. 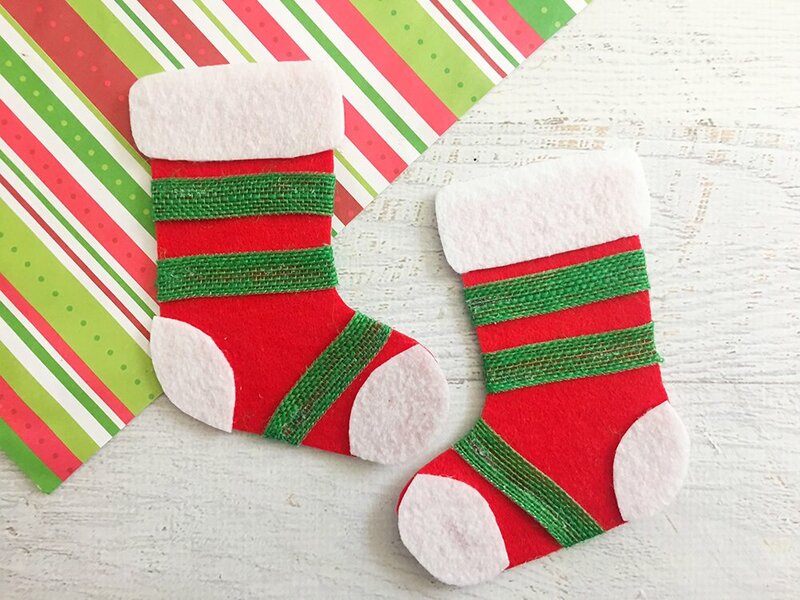 Your Christmas felt stockings are now ready to enjoy!